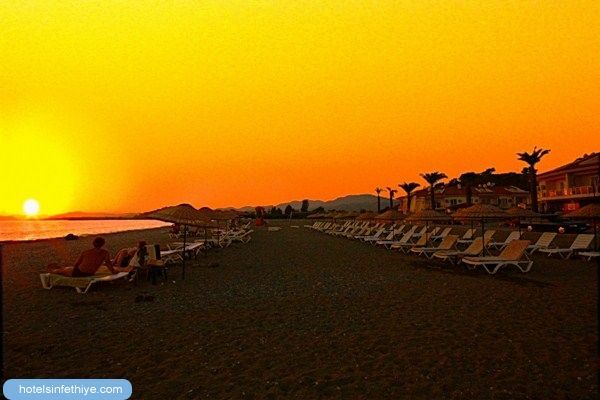 Beach Front location Holiday Accomodation Self-catering family holiday apartment for rental in Calis Beach . 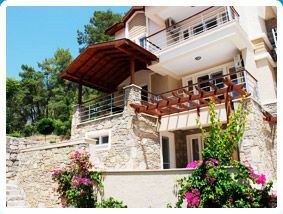 sleeps: 6 bedrooms: 3 Luxury Family holiday apartment for rental in Calis Beach . 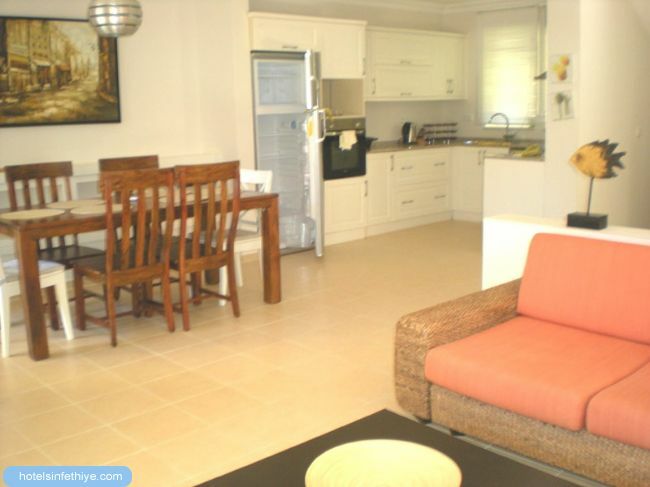 Well maintained large secure complex with communal facilites . 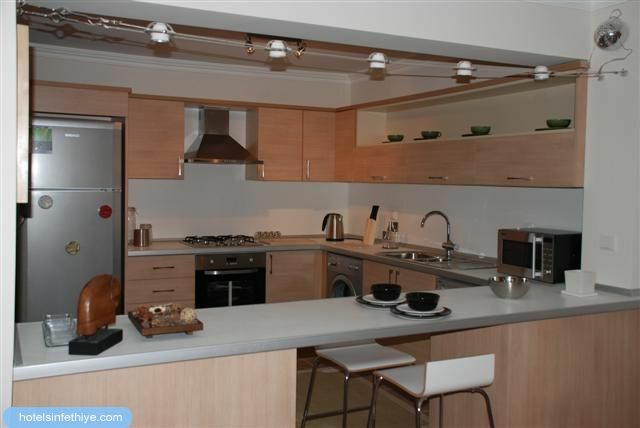 Duplex apartment is well set out with all modern appliances kitchen is fully equipt with fridge , cooker , kettle , washing machine , iron. 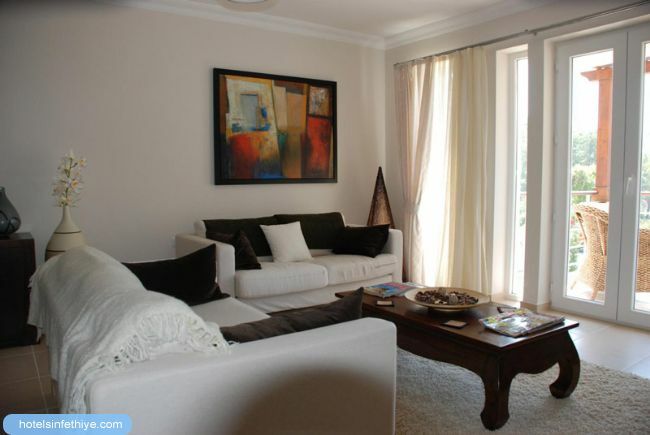 Living area has sofa , seatee and t.v with large patio doors onto front terrace which overlooks pool area and gardens. Double bedroom with shared front covered balcony. 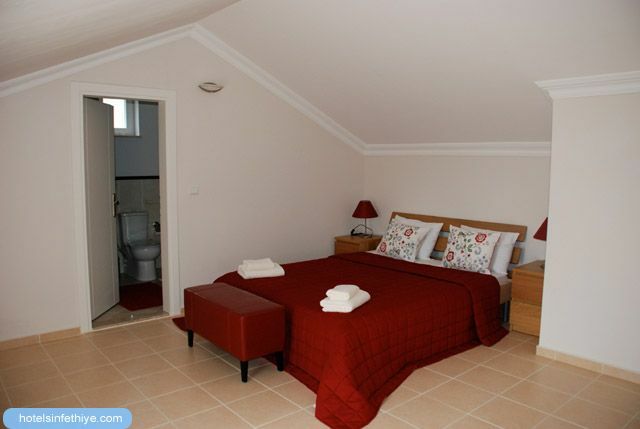 Twin back bedroom with small private balcony , family bathroom with fitted suite and shower cabin . 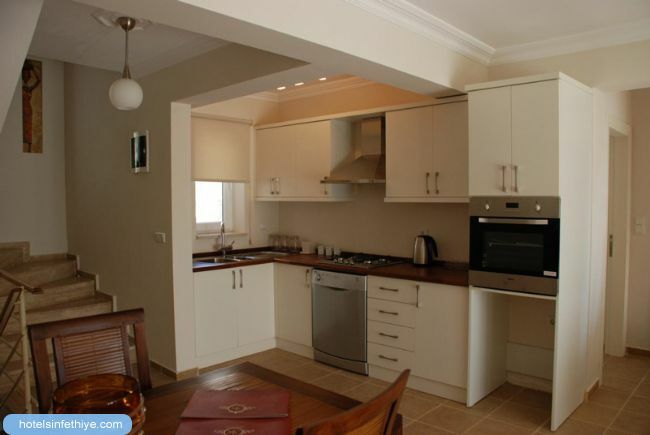 Upstairs is third bedroom to sleep another 2 people with private roof terrace , separate quality fitted bathroom . All rooms have air-conditioning for comfort. 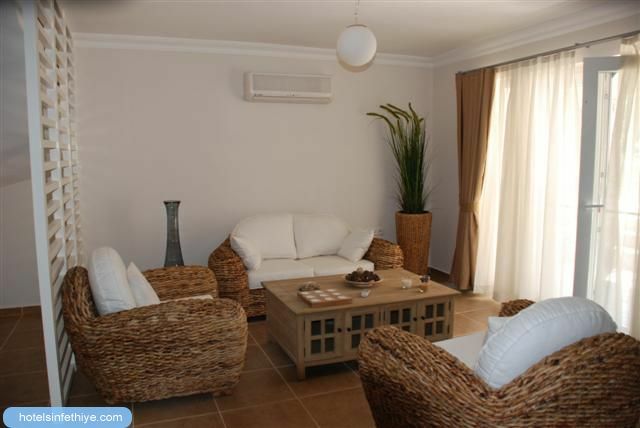 The apartment is located in the middle of the complex close to swimming pool situated on first and attic levels achieving luxury accommodation for an enjoyable holiday . On-site facilities include fitness centre, turkish bath and spa centre , restaurant , cafe , bar , communal swimming pool and childrens section , play area and private beach .